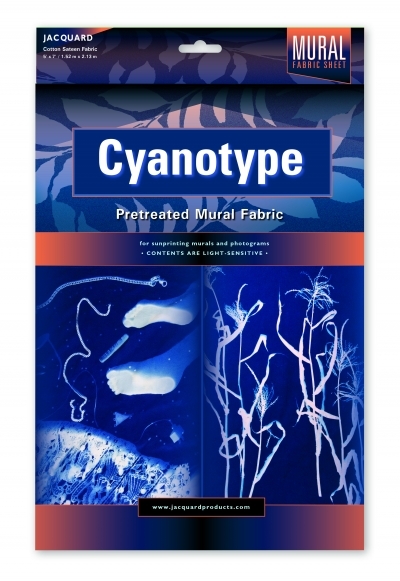 The cyanotype mural fabric is a giant 5' x 7' photo sensitive sheet of cotton that makes a photo from a negative, or photogram from solid objects after exposing to the sun for only 10 min. Easy, non-toxic and impressive! My kids would love this toy. Fun idea. Great way to show kids how science works.